I've always loved the palm trees nail designs but thought it would be too difficult and time consuming. It really is just the opposite! It didn't take any longer than other nail designs and I received so many compliments on them. The hardest part for me was the branches on the trees, that swoop wasn't working with my non steady hands. The only tools I used was a makeup sponge for the sunset background and a toothpick to make the trees. I didn't have orange polish for the background so I used a dark pink and yellow polish. Apply Base coat. Apply a thick strip of pink polish onto the sponge. Then just under it a thick strip of yellow polish and another strip of pink. Dab the sponge onto each nail, reapplying colors to sponge if needed. Let dry. Clean around the nail. 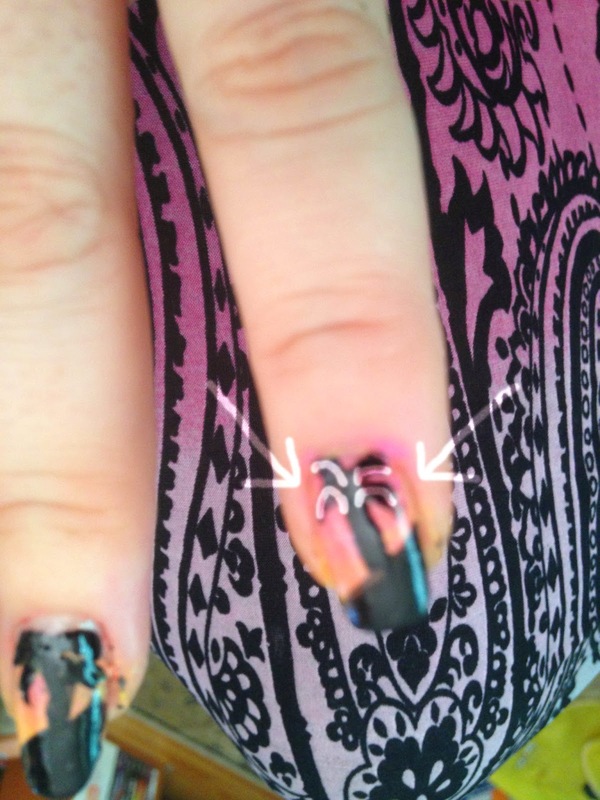 Using Black polish, swipe the brush along tips on an angle. Make a slanted line for the trunk of the tree using toothpick. I started from the bottom and went up but what ever you are comfortable with. Make an "n" shape to make the branches. Kind of a wide "n". Allow to dry for about 10 minutes and apply a generous amount of Top coat. This will prevent smudging. Hope you enjoy your nails!